For online reservations free skipper service for all big speed boats. 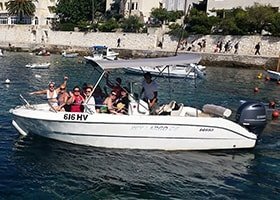 With our boats and speedboats you will have an unforgettable day with your friends or family sailing through the Hvar islands and discovering the most incredible places. Our skippers are locals, born in Hvar and with over 15 years of experience! Friendly and always ready to give you best advice's on places to visit in Hvar and nearby islands. The Pro Open is seen as the all terrain model of the sea and is comfortable in any situations. It cuts smoothly into the waves with ease – it’s an optimum performance boat. 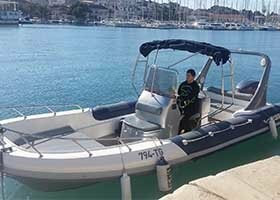 The adventurous RIB Marshall is waiting for you on Hvar! This boat has 6 jockey seats plus 1 for a skipper, so in total it can accommodate 7 people. 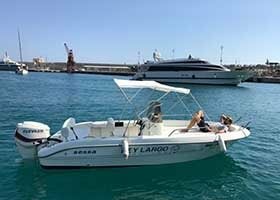 Compact and powerful, this boat is great fun on the water and offers plentiful space and comfort for cruising. Truly a great example of a sporty boat. Built quality and design that characterizes the Sessa. 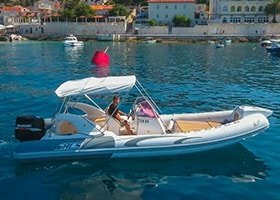 With this boat you will enjoy an unforgettable day aboard with your friends and family sailing through the Hvar islands and discovering the most incredible places. 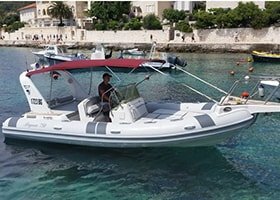 A comfortable and fast boat that is suitable for daytrips exploring beautiful islands, towns and beaches. With this boat you can also reach amazing distant open waters islands. The Maestral 745 is characterized by comfortable rear bench seating, centrally located driver’s console with seat and large front sundeck. It can comfortably accommodate up to 12 passengers. Marlin 23 is fast and comfortable, ideal for spending some time on the sea. This boat is a 7 meters long that can accommodate up to 12 people. 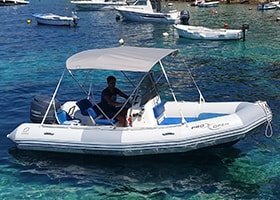 Perfect size and structure of the boat allow you to spend a carefree time and enjoy sights and beauty that Croatia has to offer. 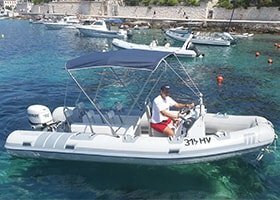 Why Choose Hvar Boats (HvarBoatRental.com)? We know your time is valuable, so our team is committed to providing you with the best boat rental experience possible, from before you book your boat to after your journey has ended. To help achieve these core values, we closely monitor client satisfaction and are consistently seeking new ways to exceed our clients’ expectations. 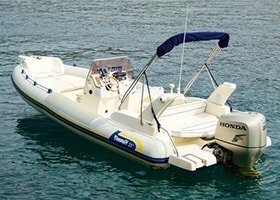 At HvarBoatRental.com , we’re guided by a set of core values— quality, dedication, trust and personal service—and we ensure that these hallmarks are met at every stage of your journey. Whether you have a single question or a special request, we’re here for you. © 2019 HvarBoatRental.com. All Rights Reserved. Francesco Rent. Powered by V.T.